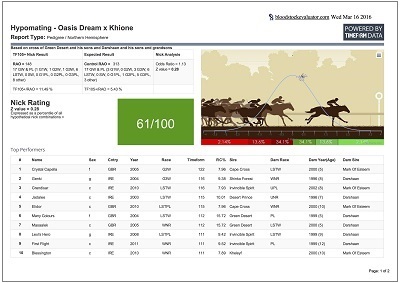 Browse our database of over two and a half million horses and 300,000 races. Generate your own Nicking Reports or access our Sales Reports, powered by Timeform. 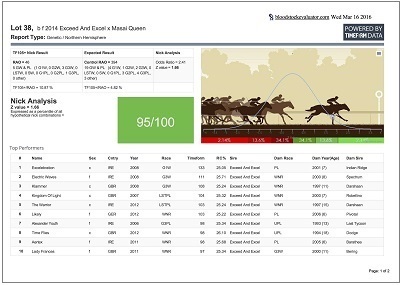 Create Inbreeding Reports and calculate the Inbreeding Coefficient for any horses in the database for up to 12 generations. Calculate the Relationship Coefficient between any two horses through our Common Ancestors tool. Learn more about the statistics behind our Nicking Ratings in the Guide and FAQ. Statistics, bell-curves, z values and Timeform ratings – a quantitative approach to the traditional sire and dam sire compatibility analysis. 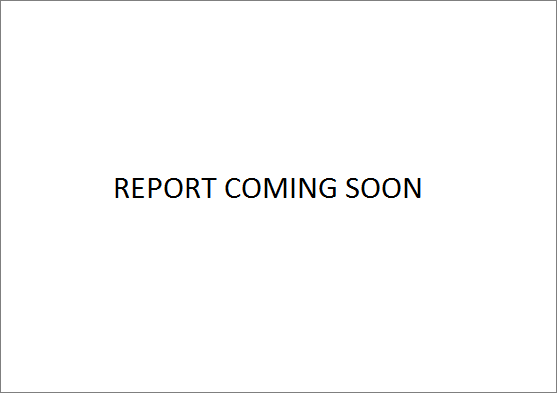 Timeform Ratings and authentic statistics add a new dimension of accuracy to the traditional nicking report. Available for any auction covered by Bloodstock Evaluator. 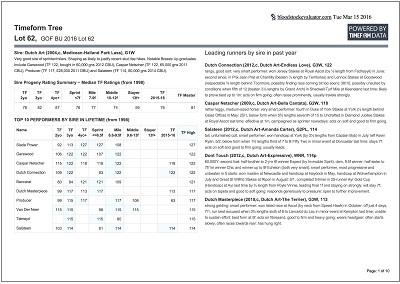 Lists the Timeform Rating for every horse descending from the third dam, along with “black book” style comments for the leading runners on both sides of the pedigree over the past 12 months. 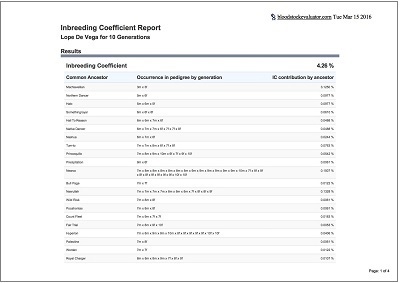 Calculates the Inbreeding of your horse from 3-12 generations. Ratings based on Stud Fee opportunity. A new insight into over-performing and under-performing stallions. Calculates the Relationship Coefficient between any two horses.